This festive book fair features prints, artists' books, handmade paper, zines, origami, blank books, paper sculpture, and jewelry, all made by local artists. If it's paper-based art, it's here! Free book-making workshops for all ages will also be offered at the Library the day of the fair. Space is limited - please email events@philadelphiacenterforthebook.org to reserve your spot for a workshop. Within every sheet of paper is a hidden book lying in wait. We will discover how to make several of these single sheet structures. You'll leave with samples and the know-how to embed your own content into these functional, quick books! Making pop-ups is easy - just cut, fold, and pop! We will explore paper engineering techniques to make cards that jump off the page! Students will learn the basics, including v-fold, layers, and simple tabs, to make your own personalized pop-up creations. Animate holiday cards, build abstract kinetic cards, and more. This workshop is for all ages and levels of experience. This course will be an introduction to the vast world of book and paper conservation. Basic conservation tools and techniques will be covered, as well as archival materials and simple ways to protect items for the future. We will also address simple repairs for papers and books. Students are encouraged to bring in their own old or damaged books or paper items in need of protection and repair, for practice or for consultation. Your projects should be those on which you are willing to practice. All interested parties are welcome; no prior experience necessary! 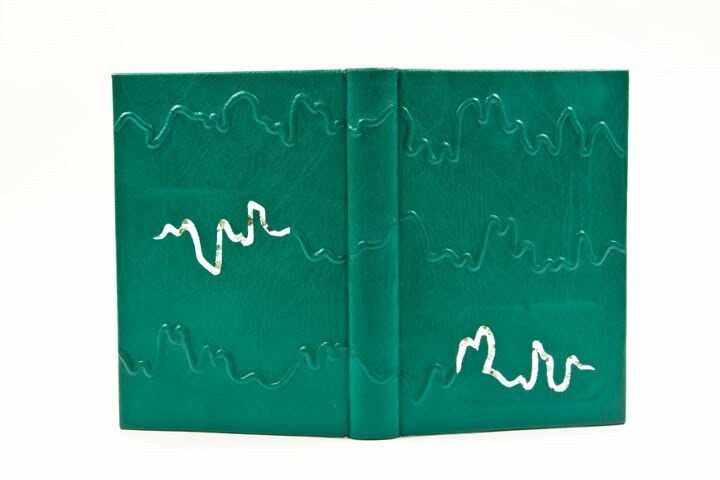 Erin Paulson is a book artist and conservator living in Philadelphia. She received her BFA in photography from Columbia College Chicago in May 2007, and is currently pursuing an MFA in Book Arts/Printmaking from the University of the Arts. Since 2007 Erin spent two years working at Loveleaf Press, a custom bookbindery in Chicago, doing bookbinding and letterpress. She has studied books and fiber arts at the American Academy of Bookbinding, the Penland School of Crafts, and the Arrowmont School of Arts and Crafts, and book conservation under Barb Korbel at the Newberry Library and Christine Fabian at the Art Institute of Chicago's Ryerson and Burnham Library. The objective of the Library Fellows program is to encourage and promote the creation of artists’ books and to support NMWA’s Library and Research Center and book art programs. The Library Fellows program provides up to $12,000 biennially for the production of an artist book in an edition of 125. An additional $1,000 is provided for the artist to create 500 copies of a promotional brochure for the book, as well as $1,000 for the artist to travel to the Library Fellows’ annual meeting to present her book upon completion. Proposals must be postmarked on or before June 30, biennially. No exceptions. The next deadline is June 30, 2012. The artist who is responsible for the overall creation, design and realization of the book must be a woman. Technical assistance in developing the book edition by both women and men is acceptable. Collaborative projects between two or more women artists are allowed. Only new books will be considered. Previously published books or books that are versions of books previously published or planned for publication will not be considered. 1250 New York Ave., N.W. Book Paper Scissors - One Week Left to Register! Are you curious about what we do or how you can become involved? Join us to find out! 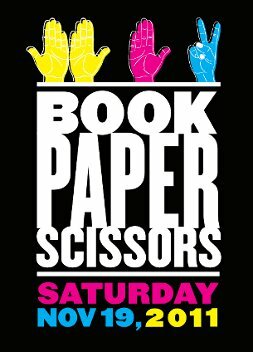 Book Paper Scissors - Registration Deadline in Two Weeks! Save the date for our annual Artists' Book Fair!